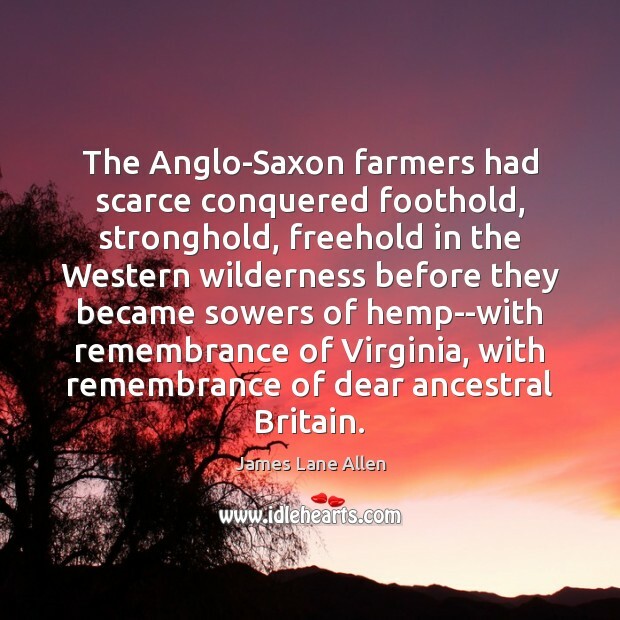 Quotations about Ancestral. Quotes to stimulate mind and drive action! Use the words and quote images to feed your brain inspiring things daily! 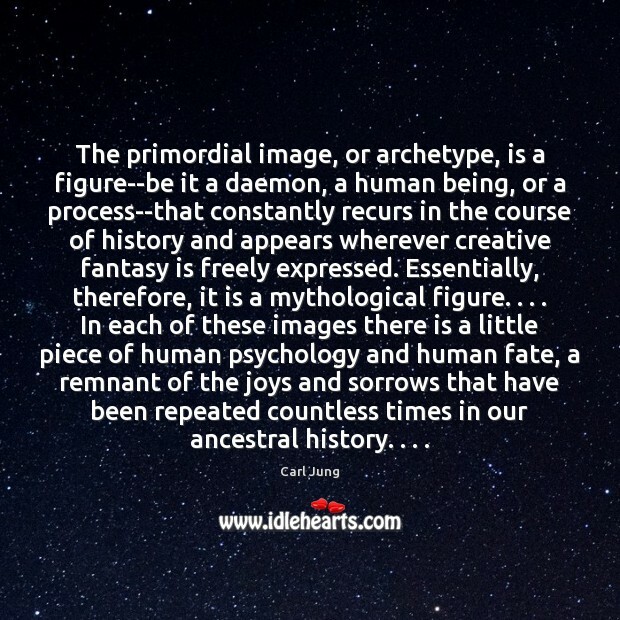 The primordial image, or archetype, is a figure--be it a daemon, a human being, or a process--that constantly recurs in the course of history and appears wherever creative fantasy is freely expressed. Essentially, therefore, it is a mythological figure. . . . 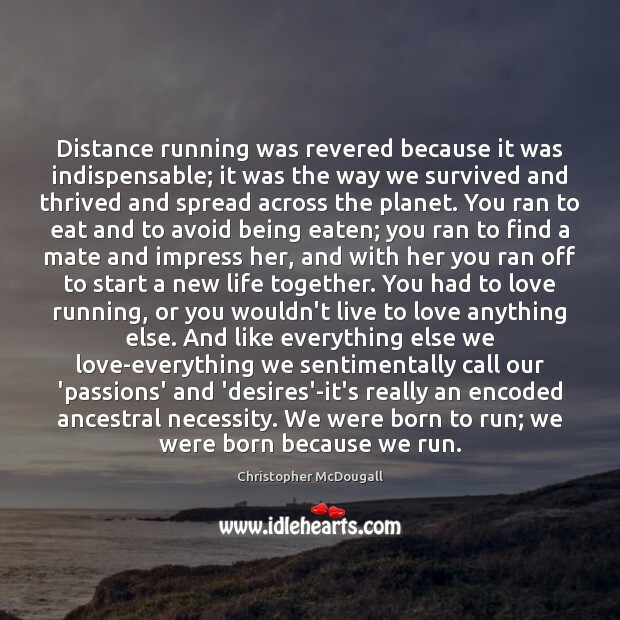 In each of these images there is a little piece of human psychology and human fate, a remnant of the joys and sorrows that have been repeated countless times in our ancestral history. . . . 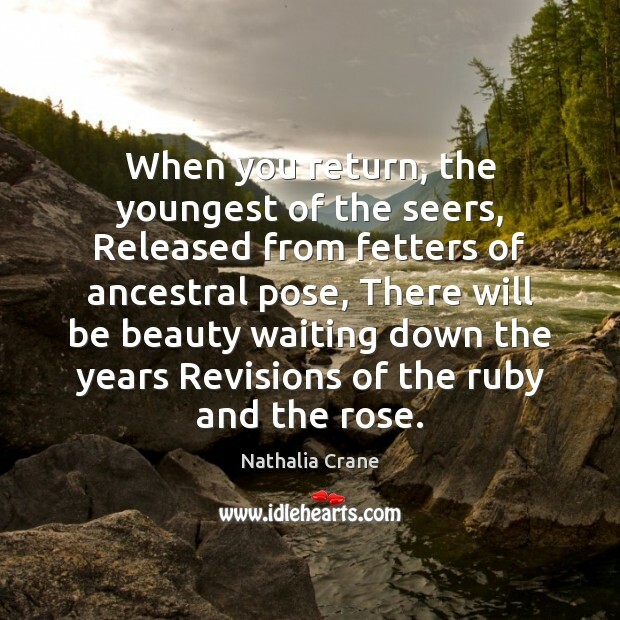 When you return, the youngest of the seers, Released from fetters of ancestral pose, There will be beauty waiting down the years Revisions of the ruby and the rose. 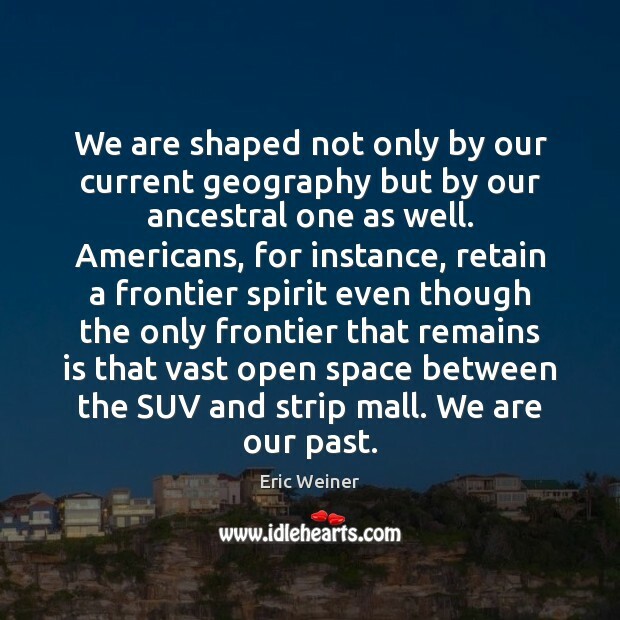 We are shaped not only by our current geography but by our ancestral one as well. Americans, for instance, retain a frontier spirit even though the only frontier that remains is that vast open space between the SUV and strip mall. We are our past. It is as queen of Canada that I am here. 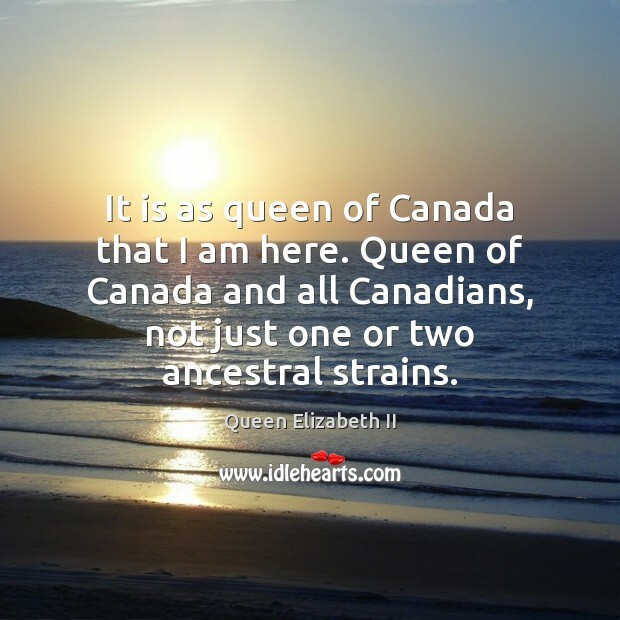 Queen of Canada and all Canadians, not just one or two ancestral strains. 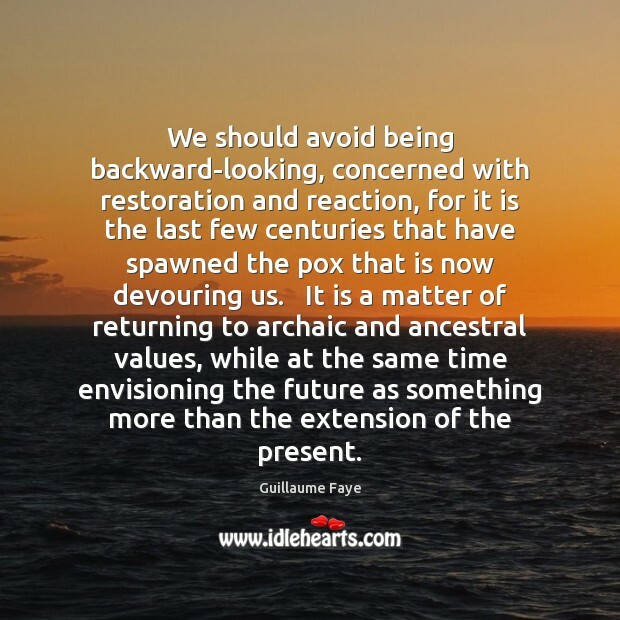 We should avoid being backward-looking, concerned with restoration and reaction, for it is the last few centuries that have spawned the pox that is now devouring us. It is a matter of returning to archaic and ancestral values, while at the same time envisioning the future as something more than the extension of the present. 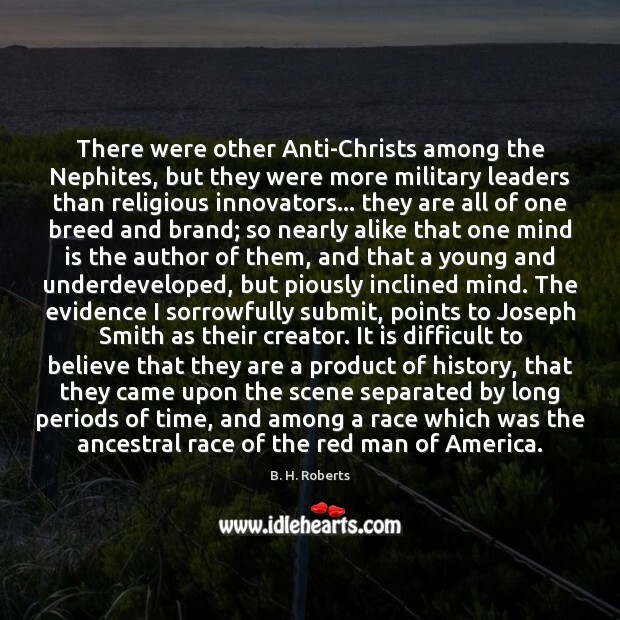 There were other Anti-Christs among the Nephites, but they were more military leaders than religious innovators... they are all of one breed and brand; so nearly alike that one mind is the author of them, and that a young and underdeveloped, but piously inclined mind. The evidence I sorrowfully submit, points to Joseph Smith as their creator. 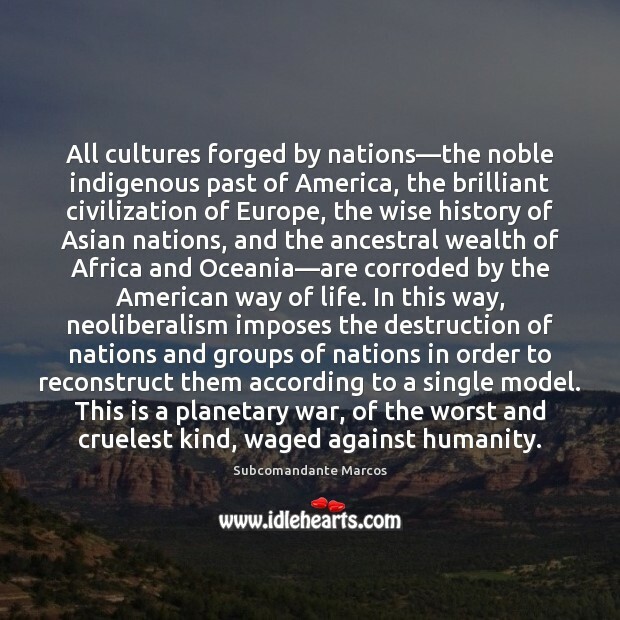 It is difficult to believe that they are a product of history, that they came upon the scene separated by long periods of time, and among a race which was the ancestral race of the red man of America. It has had a calamitous effect on converted peoples. To be converted you have to destroy your past, destroy your history. 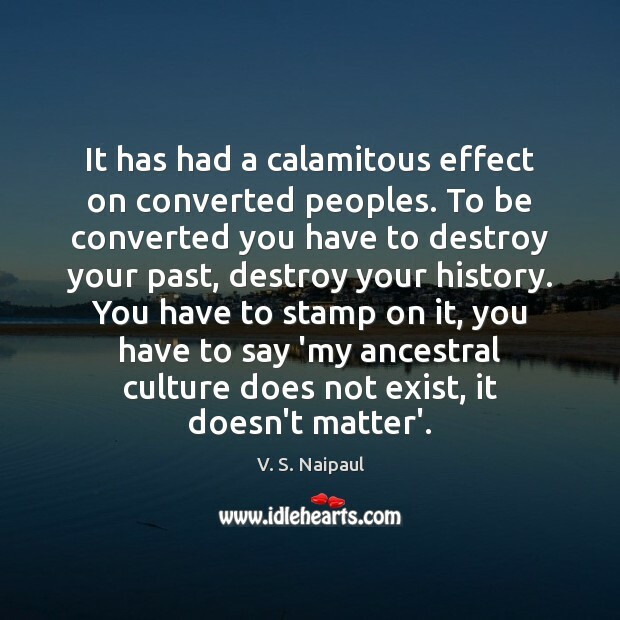 You have to stamp on it, you have to say 'my ancestral culture does not exist, it doesn't matter'. 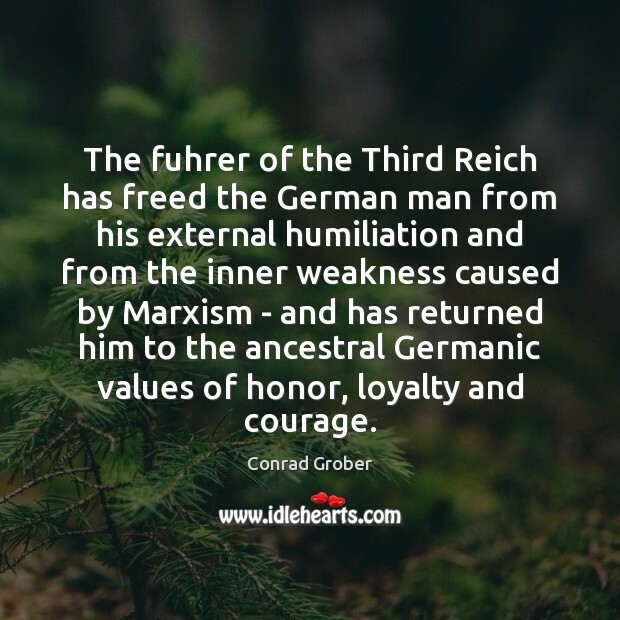 The fuhrer of the Third Reich has freed the German man from his external humiliation and from the inner weakness caused by Marxism - and has returned him to the ancestral Germanic values of honor, loyalty and courage. There is growing awareness of the beauty of country ... a sincere desire to keep some of it for all time. 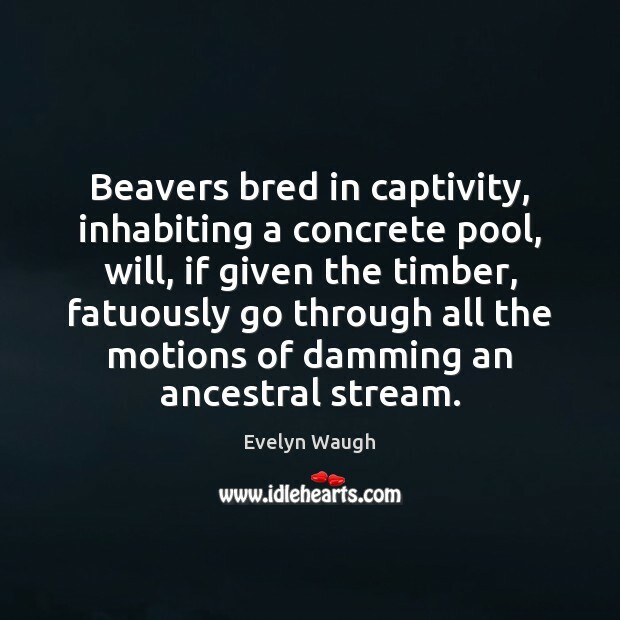 People are beginning to value highly the fact that a river runs unimpeded for a distance... They are beginning to obtain deep satisfaction from the fact that a herd of elk may be observed in back country, on ancestral ranges, where the Indians once hunted them. 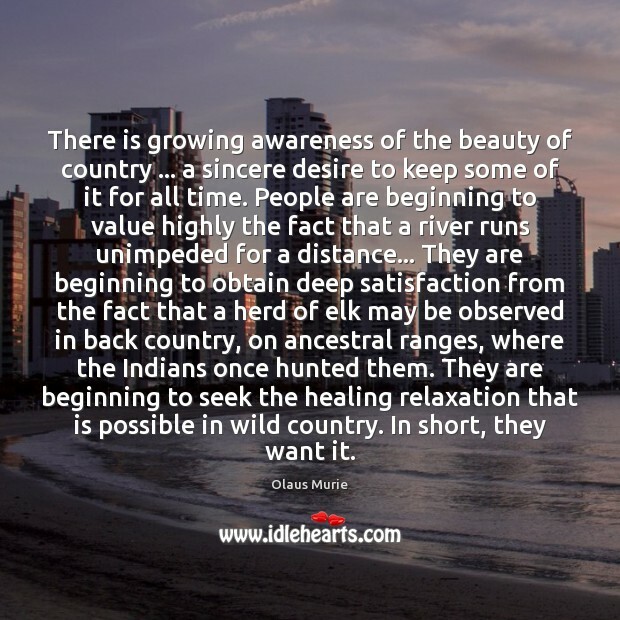 They are beginning to seek the healing relaxation that is possible in wild country. In short, they want it. All human populations are in some sense immigrants. 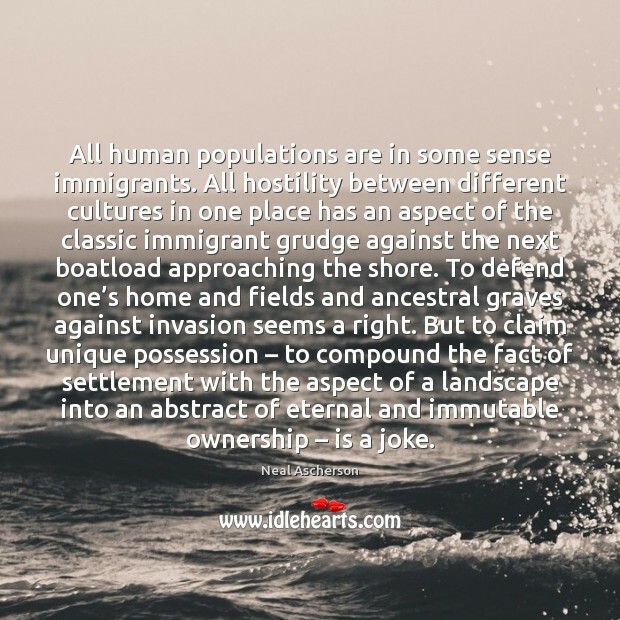 All hostility between different cultures in one place has an aspect of the classic immigrant grudge against the next boatload approaching the shore. To defend one’s home and fields and ancestral graves against invasion seems a right. But to claim unique possession – to compound the fact of settlement with the aspect of a landscape into an abstract of eternal and immutable ownership – is a joke. Awful Night! 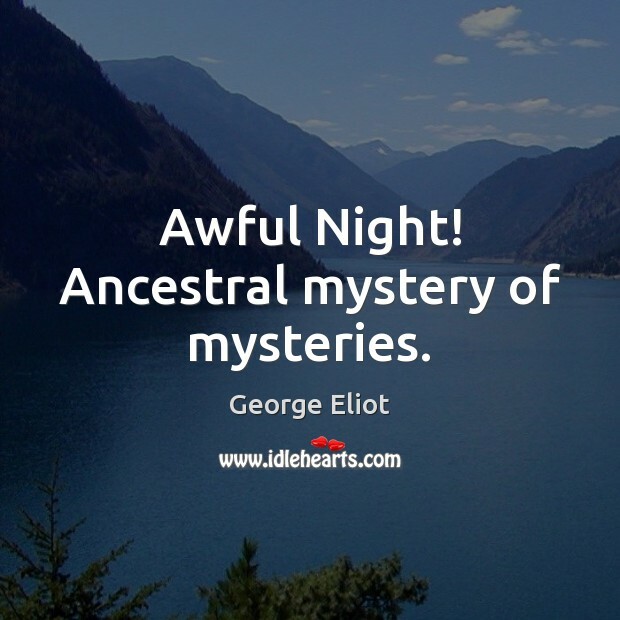 Ancestral mystery of mysteries. 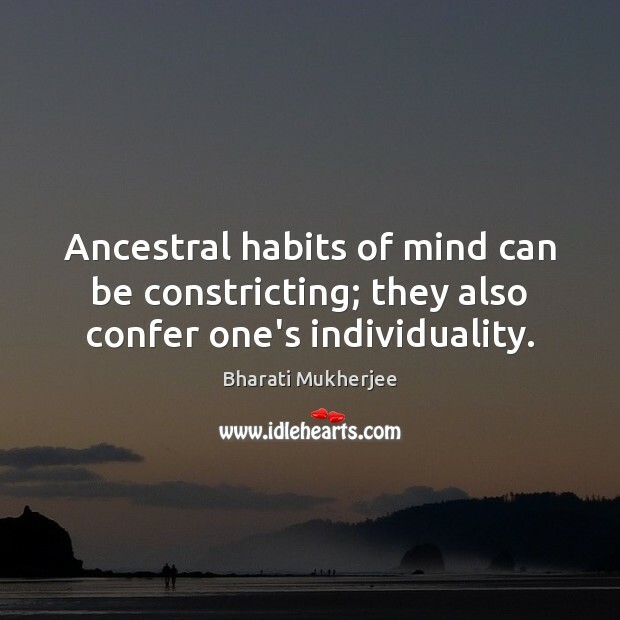 Ancestral habits of mind can be constricting; they also confer one's individuality. Man is more himself, man is more manlike, when Joy is the fundamental thing in him, and Grief the superficial. Melancholy should be an innocent interlude, a tender and fugitive state of mind; Praise should be the permanent pulsation of the soul. Pessimism is at best an emotional half-holiday; Joy is the uproarious labor by which all things live? 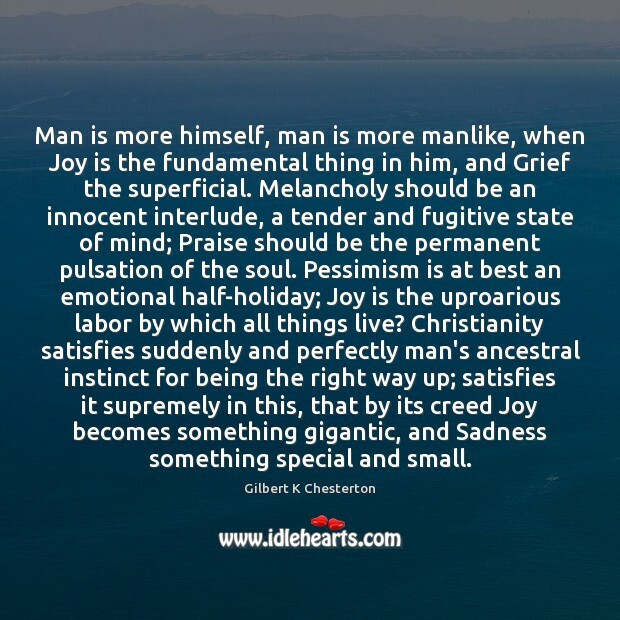 Christianity satisfies suddenly and perfectly man's ancestral instinct for being the right way up; satisfies it supremely in this, that by its creed Joy becomes something gigantic, and Sadness something special and small.